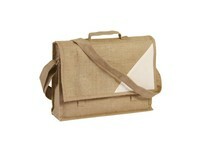 Bag made of eco friendly jute fabric with a shoulder strap and handle. Large and small inside pockets and closes with buckles and velcro fastener. 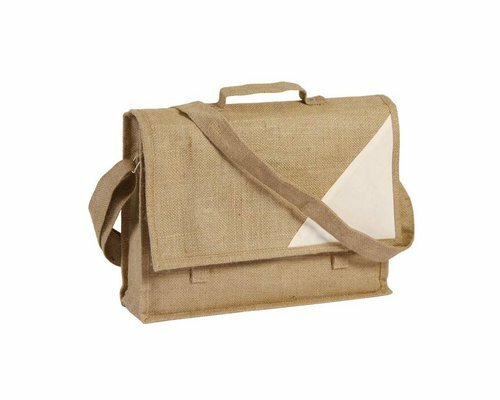 Features: Bag made of eco friendly jute fabric with a shoulder strap and handle. Large and small inside pockets and closes with buckles and velcro fastener.